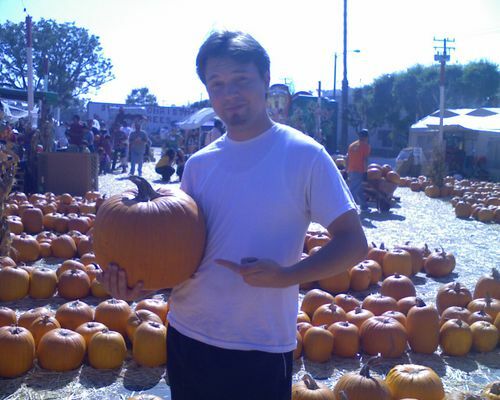 Though I wish I could report differently, this year's pumpkin purchasing excursion again took place in no more exotic a location than the pumpkin patch set up in the parking lot of the Rite Aid / Albertsons on Mesmer St. in Culver City. The place was lousy with little shavers begging pony rides and sewing havoc with their radio flyers. I shuddered with thoughts that one day they would work at Walmart. 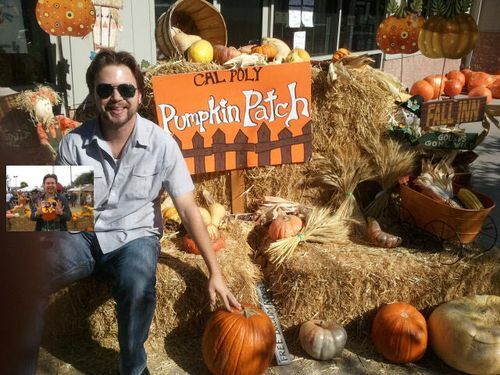 That didn't stop us from selecting a fine, orange gord while snapping a picture for the third year running. 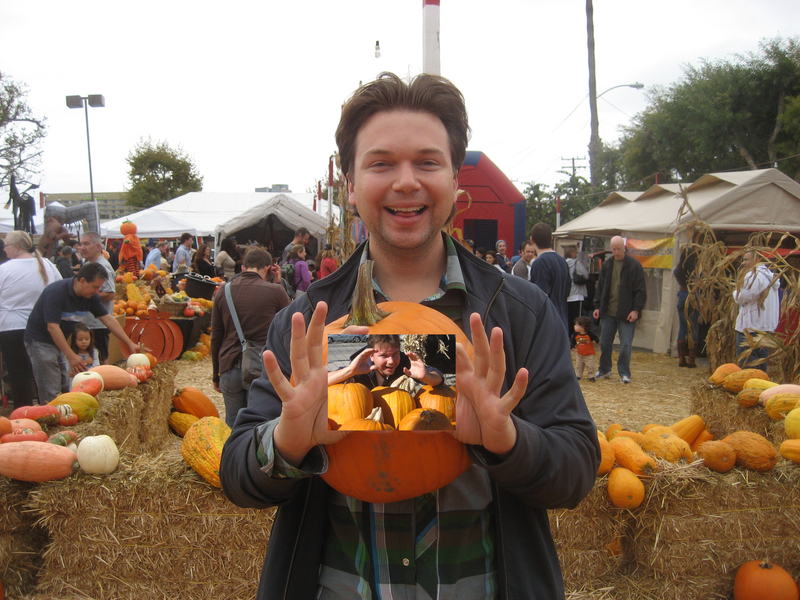 The conceit here is to either hold (or photoshop) the previous year's pumpkin picture in the current year's offering. This procedure is inspired by a noble tradition started back 18 years ago by our friends Chris and Alysia. See all three Fake Angeleno Pumpkin Pictures. 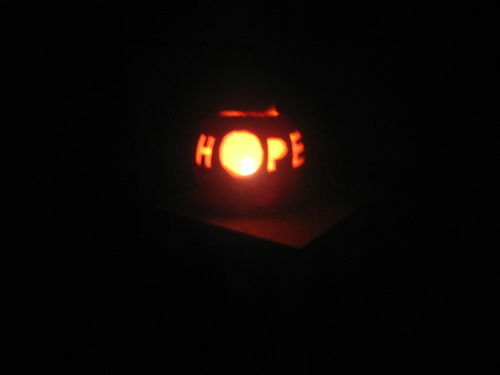 See the amazing 18-year run of Chris and Alysia's Pumpkin Pictures. And, apologies, I need to link here to an Applebees Happy Hour San Diego page.